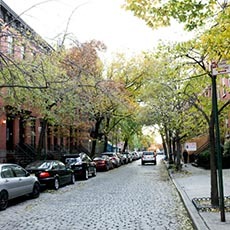 Stretching from Broadway to Seventh Avenue, the Greenwich Village can be found between West 14th Street and Houston Street. A pocket is at the north of Houston between Broadway and Laguardia Place. 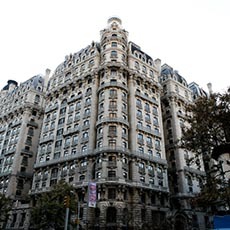 The architecture at the north section of Washington Square Park below 14th Street and in between of 5th and 6th is very different from its counterpart in the south and west of the park. 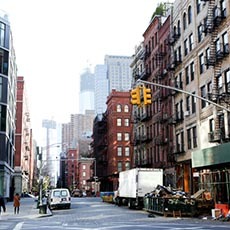 There are more high-rise buildings built between the 1930s and 19602 and well-maintained brownstones and townhouses. At the other side of the park – known as “the Gold Coast” – is where locate luxurious prewar co-ops with high ceilings and grand lobbies. Most of the remainder in the Village is tenement-style walk-ups with storefronts. The largest green space is Washington Square Park. 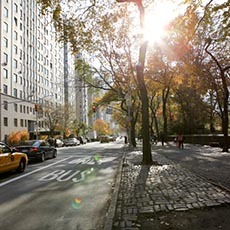 The neighborhood is also home to New York University. At the Washington Square Park – the heart of Greenwich Village, everyone including musicians, artists, students, residents, and street performers can find himself/herself a spot. There is not only bohemian chic in this area; the north of the Park has also nurtured upper-class charm since late 19th Century. There are bars, restaurants, cafes, and some small family owned businesses in the neighborhood. Moreover, the venues providing live music in various genres – especially the legendary jazz spots – bring more energy for the Village.